How to complete the Floor is Lava challenge in Destiny 2. 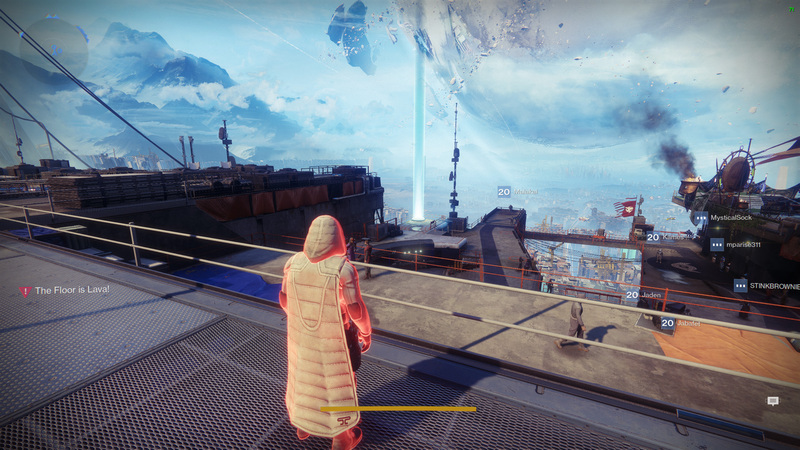 In Destiny 2, there are some neat little secrets that you can explore while you’re in the Tower after the main story is finished. One of them is called the Floor is Lava, and begins in the main part of the Tower, on the catwalk above where you spawn in. Today, we’re going to explain how you can complete this pointless little challenge while you’re waiting on your fireteam members to get ready for the Leviathan raid. 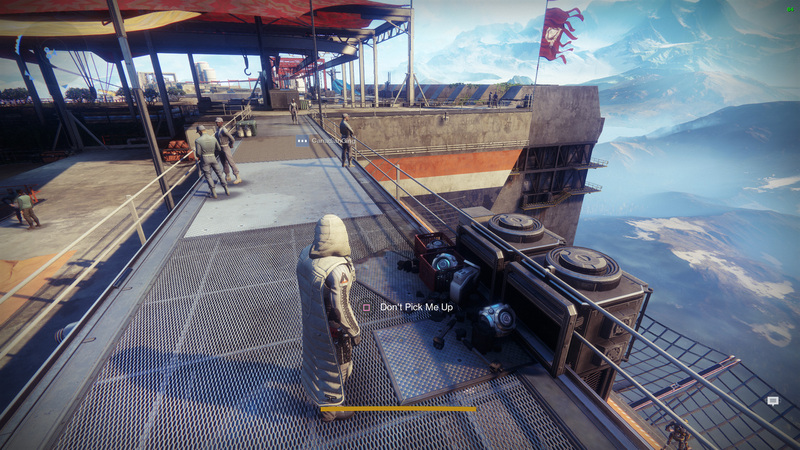 On the catwalk above where you typically spawn at the Tower will be a prompt that says Don’t Pick Me Up. Of course, you’re going to want to pick it up. This will cause a notification on your screen that says, the Floor is Lava. If you turn around and look out towards where Zavala, Shaxx and Saladin typically stand, you’ll see a beam of light. It could be left or right of Zavala, or it could be to the right of where Saladin stands when the Iron Banner event is active. You need to take the Floor is Lava notification seriously because the floor will burn you. You’re safe where you began the challenge on the catwalk, but from this point on you’ll need to jump from object to object to avoid taking damage. Don’t let your feet touch the ground. The goal is to move from where you’re standing to the beam of light. If you miss an object and touch the ground, you’ll only take a minor amount of damage so long as you get your feet off the floor quickly. The longer you stand there, the more damage you take. The more times you miss objects and touch the floor, the more damage you take. If you take enough, obviously you’ll die, which is of little consequence in the Tower. Simply head back to the catwalk and begin the Floor is Lava challenge one more time. Once you successfully complete the Floor is Lava challenge you’ll receive a buff called Quickness. You’ll glow a bit, but the big up to this is that you can jump higher than you normally would for a few minutes, or until you die. This will allow you to poke around the Tower and explore areas that were inaccessible before you completed the challenge. This buff is very similar to the Sentry 4 challenge at the Farm that gave the Scouting Commander buff. For more secrets that every Guardian should know, be sure to visit the Shacknews Destiny 2 complete strategy guide.